At J2 Solutions, we are technology-agnostic. 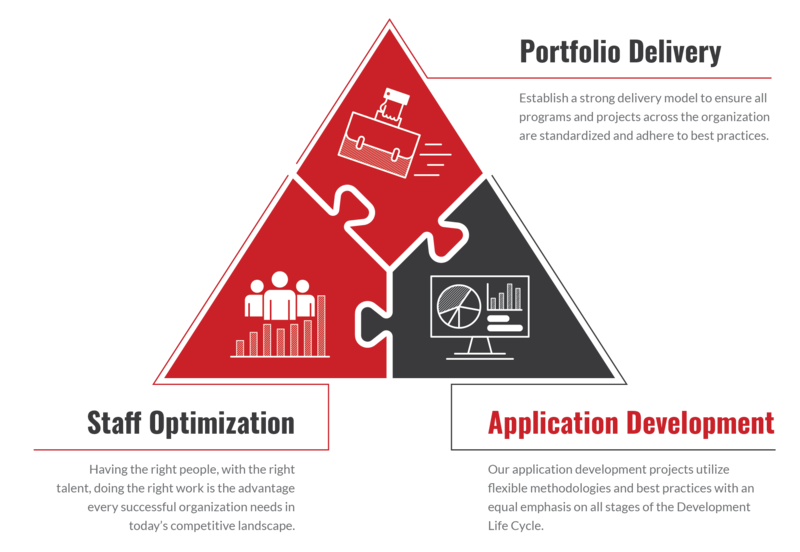 Our experts utilize established methodology and best practices with an equal emphasis on all stages of the Software Development Life Cycle from Architecture, Design, Development, Integration, and Quality Assurance. Optimize performance, security, and manageability by defining a structured solution that meets all of the technical and operational requirements. Placing clear, complete thought before action almost always produces better results. When you think about something, you are more likely to do it right. Software design is not a haphazard process. All design should be as simple as possible. Simple also does not mean “quick and dirty.” In fact, it often takes a lot of thought and work over multiple iterations to simplify. The payoff is software that is more maintainable and less error-prone. Three words – effective, efficient and economical – taken together meet the requirement for a simple but embracing set of value goals for software development. Modern methods for software development represent a significant opportunity to improve the company’s bottom line. Application integration bridges the gap between different software programs, enabling data to flow from one program to another. When done correctly, companies realize the full benefit of their software investments. Overall life cycle cost of software is greatly reduced when proper test procedures are in place to validate requirements and standards. Higher reliability will result in greater customer satisfaction.